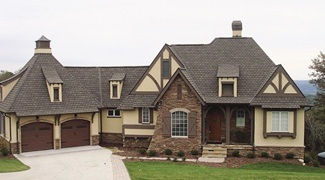 Rentfrow Designs - home floor Plans that show originality, functionality, innovation and vision. 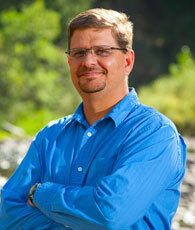 Rentfrow Design, LLC was founded by Jon Rentfrow in 1995 and is based in Colorado. Jon has strived to develop a company by focusing on maintaining long-term relationships with clients. Jon believes building a relationship begins with satisfying the customer with a design that meets their unique desires and personal lifestyles. Jon has won multiple ARDA Awards as well as various Parades of Homes Awards and is a Professional Member of the American Institute of Building Designers (AIBD). Jon works out of his personal residence to afford time with his wife, Elisha and three sons, Nicholas, Jathan, and Zekiah. Jon travels the country designing distinctive homes by ‘Creating Moods in Individual Spaces’. ‘Creating moods’ involves paying special attention to the details of a home. Columns, trim, doors, windows, and unique nooks and shelves are some of the many elements Jon uses to help create the environment of each space. ‘Individual spaces’ is derived from the ‘Not So Big House’ concept of residential design. Jon tries to develop multiple places to escape to within a home, such as quiet reading areas in a master suite or a den. Additionally, maximizing scenic views out of a home are also of great importance and are taken into consideration when ‘Creating Moods in Individual Spaces’.